Do you know someone in need of a little spring pick me up? I came across the CUTEST idea a couple weeks ago, and figured it must be passed along! I feel like even though it's supposed to be spring.....the majority of the U.S. (including Georgia.....Snow flurries on the way to work this morning!!!) is still feeling the cold wrath of winter. 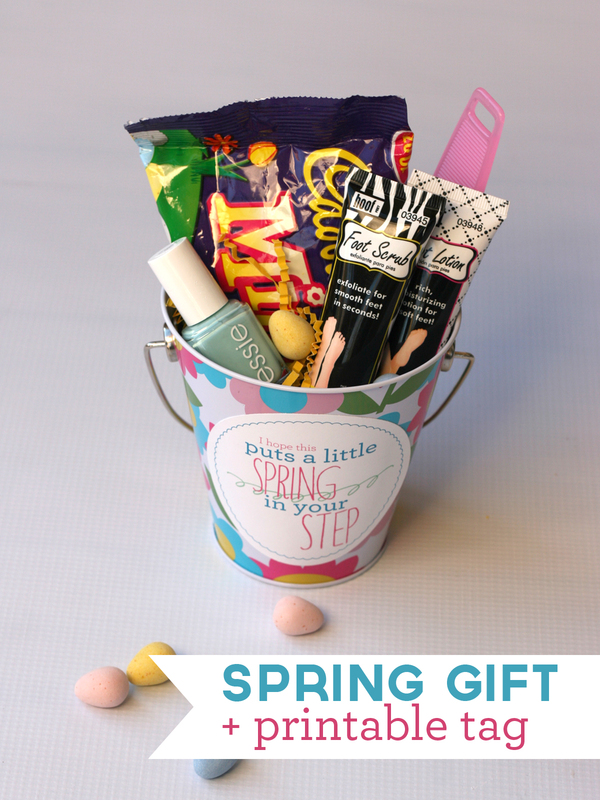 We're all going to have to look for easter eggs with snow shoes on lol ;) Warm up a friend's day and put a little "Spring" in their step with this little goodie!! When you get a chance make sure you check out My Sister's Suitcase. A blog that constantly has great ideas and FREE printables!! What's not to love!? Have a great Tuesday everyone, and don't forget to put a little "Spring" in someone's step today! !